Misha Mostert combines traditional Vinyasa flow with Forrest yoga to create unique and meaningful, transformative experiences. After completing her first 200-hour teaching course with YogaLife in Cape Town in 2011, Misha went on to study a further 200 hours under Ana Forrest (www.forrestyoga.com) in Denver, Colorado in 2012, focusing on the Forrest method of using yoga to carry awareness and healing off the mat into daily life. In 2015 she moved to Durban to take up the post of Head Yoga Instructor at Tree Natural Concept in Umhlanga Village. 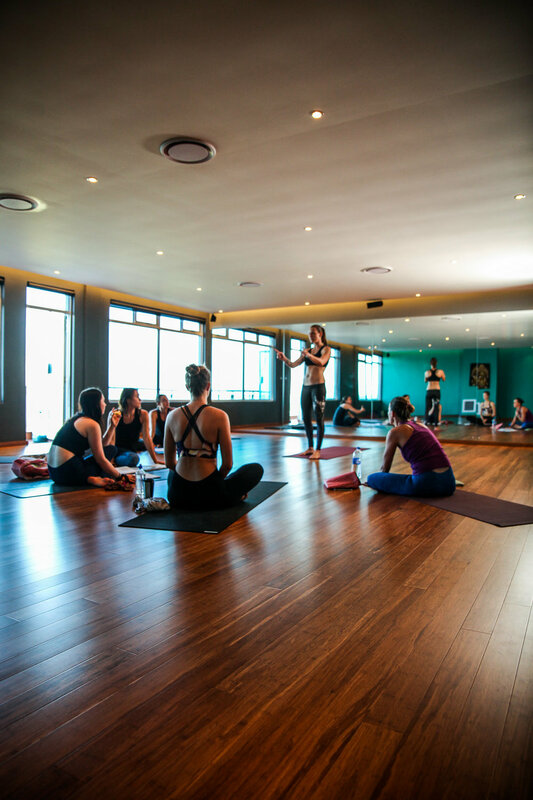 Misha went on to open her own yoga studio, Yoga Rocks, in Durban North in October 2017. This lead to her seeking further knowledge and an even deeper understanding of yoga, so she went and did her Advanced Teacher Training with Ana Forrest in Cape Town in November 2017. Misha loves watching her students make progress & particularly enjoys the challenge of working with injuries. Her attention to alignment & careful adjustments help her create personal connections with students. Misha pushes her own limits by participating in workshops with numerous international teachers as often as she cans. Misha is a Yoga Alliance certified teacher trainer who runs teacher trainings at her studio, Yoga Rocks, annually.